Foire de Poussay - Kobelco Construction Machinery Europe B.V. 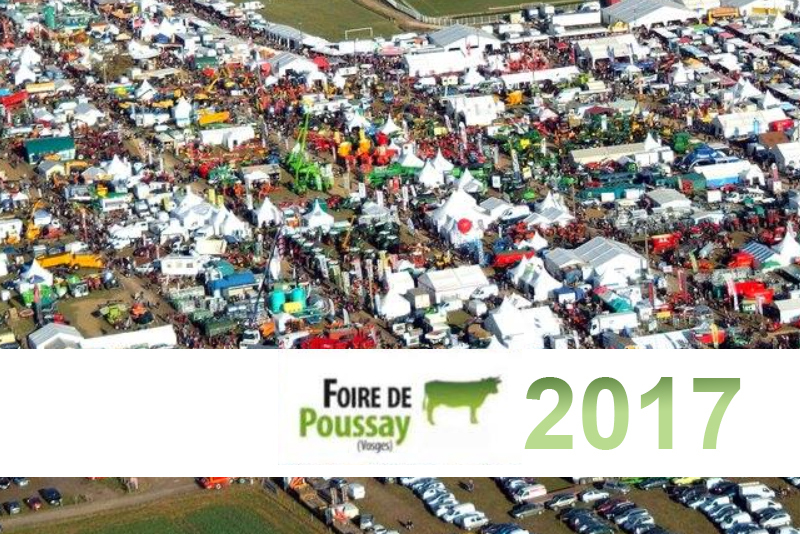 The Foire de Poussay is a very old agricultural fair held since 1598 in the town of Poussay in the Vosges. It takes place every year and brings together 1,200 exhibitors on a 22-hectare fairground with approximately 150,000 visitors a year. The fair includes a famous livestock market, an agricultural equipment market, a commercial market and a fair.